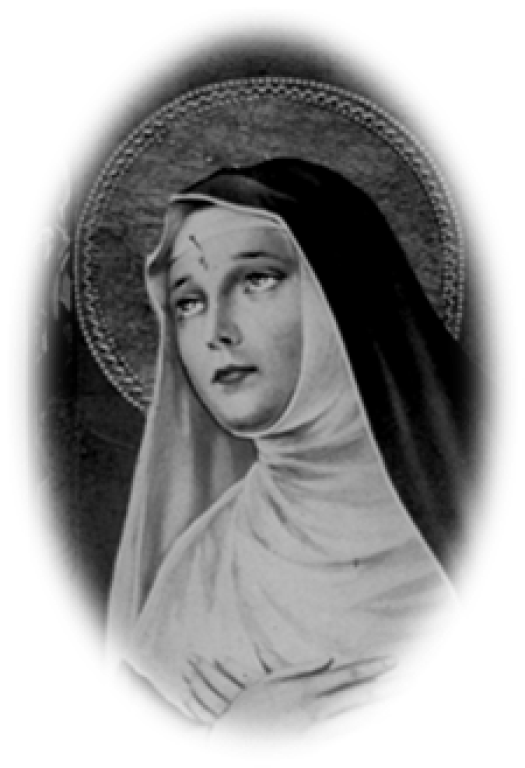 Every Wednesday, after daily mass, the parish says a novena to Saint Rita of Cascia. O Holy Patroness of those in need, St. Rita, whose pleadings before thy Divine Lord are almost irresistible, who for thy lavishness in granting favors hast been called the Advocate of the Hopeless and even of the Impossible; St. Rita, so humble, so pure, so mortified, so patient and of such compassionate love for thy Crucified Jesus that thou couldst obtain from Him whatsoever thou askest, on account of which all confidently have recourse to thee expecting, if not always relief, at least comfort; be propitious to our petition, showing thy power with God on behalf of thy suppliant; be lavish to us, as thou hast been in so many wonderful cases, for the greater glory of God, for the spreading of thine own devotion, and for the consolation of those who trust in thee. We promise, if our petition is granted, to glorify thee by making known thy favor, to bless and sing thy praises forever. Relying then upon thy merits and power before the Sacred Heart of Jesus, we pray thee grant that [here mention your request]. Obtain for us our request. O God, Who in Thine infinite tenderness hast vouchsafed to regard the prayer of Thy servant, Blessed Rita, and dost grant to her supplication that which is impossible to human foresight, skill and efforts, in reward of her compassionate love and firm reliance on Thy promise, have pity on our adversity and succor us in our calamities, that the unbeliever may know Thou art the recompense of the humble, the defense of the helpless, and the strength of those who trust in Thee, through Jesus Christ, Our Lord. Amen.